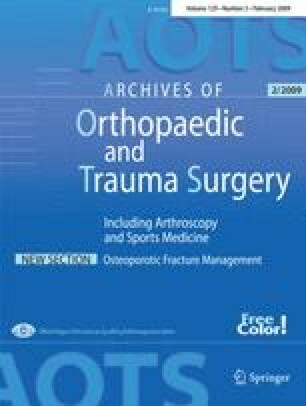 Currently, little information is available on functional outcome of periprosthetic humeral fractures after shoulder arthroplasty. This investigation aimed to evaluate functional and radiological outcome and patients’ satisfaction following this type of injury treated by open reduction and internal fixation. Retrospective chart analysis of patients treated at two level-I trauma centers. Patients were examined clinically and radiologically. Additionally, functional outcome was assessed using the established DASH-questionnaire and standardized examination for calculation of the Constant score. Five out of six patients showed complete fracture consolidation with satisfying functional results (mean follow up time 62 weeks). One patient showed major complications with poor outcome. DASH and Constant scores were comparable to those described after primary shoulder arthroplasty. Periprosthetic humeral fractures after shoulder arthroplasty can be treated by angular stable plating with low complication rates and acceptable results.